Mr. Ian Bacarese-Hamilton was born in Gibraltar, educated in Hertfordshire and qualified from Charing Cross and Westminster Hospital Medical School in London. His surgical training was initially at Charing Cross Hospital, he then Demonstrated at St Thomas' Hospital and went on to Kingston Hospital for his basic surgical rotation. Having passed his examinations in General Surgery he was appointed Junior Orthopaedic Registrar at University College Hospital and then trained as Senior Registrar at Westminster and Westminster Children's Hospital and on that rotation returned to University College Hospital, The Whittington Hospital, Chelsea and Westminster Hospital and The Royal National Orthopaedic Hospital. This programme allowed him to work with many renowned senior surgeons and as a result he had an excellent and varied training. 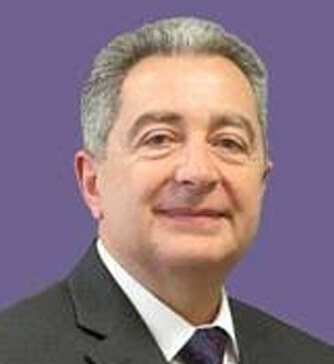 Mr. Bacarese-Hamilton is a specialist in orthopaedics and has maintained a broad interest in Trauma and Orthopaedic Surgery since his appointment as Consultant Orthopaedic and Hand Surgeon at the Whittington Hospital in 1994. He is now the Senior Orthopaedic Surgeon in the Department and Head of Training. He is a member of the British Hip Society, the British Association for Surgery of the Knee and the British Hand Society. He has a great deal of experience in arthroscopic surgery of the shoulder and knee, and extensive experience in hip and knee replacement surgery whilst maintaining an active role in the management of Trauma both in the N.H.S. and privately. Mr. Bacarese-Hamilton’s private practice at the Princess Grace Hospital was established in 1995 and until recently was solely based here. He now also operates from King Edward VII Hospital. His secretary, Terry and Practice Manager, Jessica have been with him for many years and help give the practice the reputation of excellence and reliability it possesses.